The first thing we'd like you to know is that Maguire + Devine Architects only takes on as many clients as we can fully commit to. We work with our clients to design buildings of all scales and types, from small renovations and additions to new houses, large scale commercial projects including hospitality and tourism enterprises, and on public projects such as schools or art centres. We work with people, building places they'll love living in. If your project involves design, we would love to discuss it with you. We invest our hearts and minds and a great deal of time collaborating on each project, to design our clients an environment that suits them, that fits the climate and broader context, and that is both functional and inspiring. Engaging architects requires trust. We spend as much time as necessary getting to know the people we're working with and negotiating a way of working that works for us all. All of the costs will be clearly explained so you'll be in control of the process. We get to know you and your site. Everything is designed for the people who'll be using it, and to suit the surroundings. Commercial buildings are also designed to support and strengthen the organisation's brand. We offer services through all stages of the process from assisting with site selection to the development of a clear brief, to administering the building contract while the project is on site. Please download our core architectural services for a detailed breakdown of what is involved at each stage. 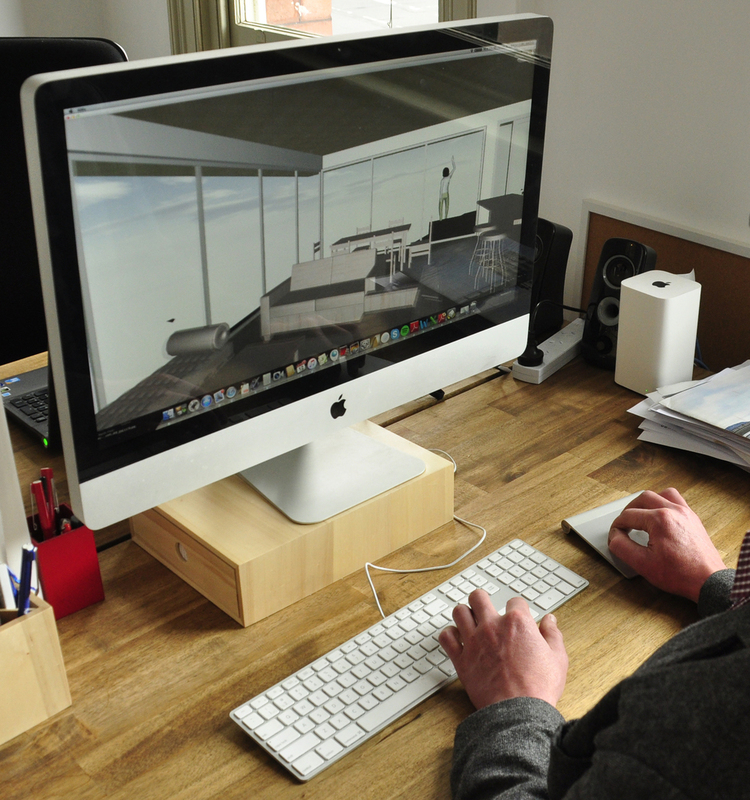 We can also offer advice on site selection along with initial feasibility studies. Maguire + Devine Architects is an A+ member of the Institute of Architects, holds all relevant qualifications and registrations and Professional Indemnity Insurance.